2017: Joining the market all season long! We are a farm based apothecary in Sandy, Oregon. "Trying to bring herbalism back to the kitchen!" We spend our time growing food, raising animals and wildcrafting herbs. We believe we are what we eat! We want to promote that your food can be your medicine. 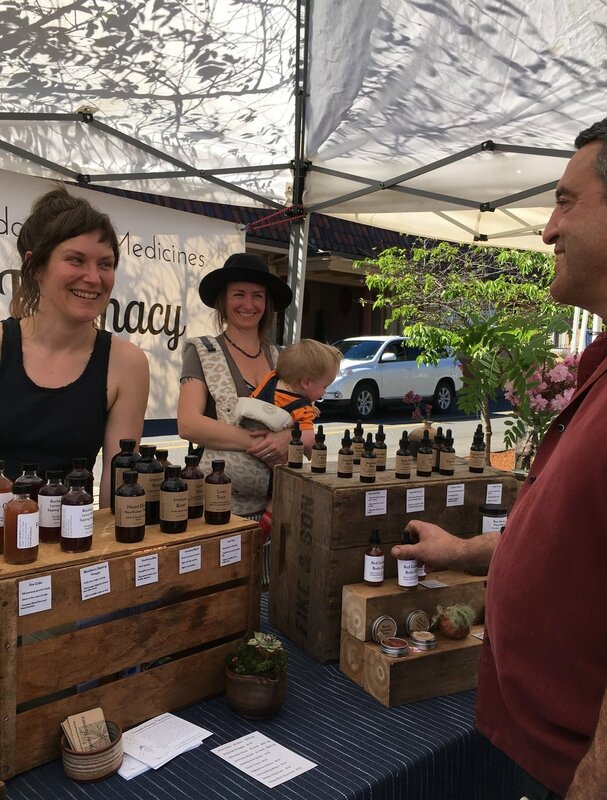 At the market you'll see compounds tinctures, elixirs, tonics, salves, soaps—all products child-safe. Along with samples of all products. This year we are introducing a few 'New Mom' specific products too. All products are made on site at the farm which is organic & also raises its own goats & bees and grows herbs.